Bellevue Residencies (Private) Limited recently signed an agreement with the BOI for the development of a luxury mixed development project in Ja-Ela. 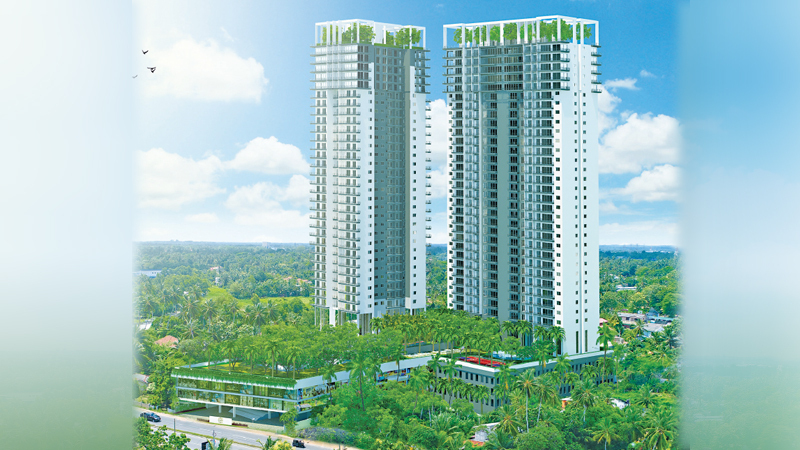 The proposed development will bring to life 600,000 sqft of real estate that includes two luxury high rise condominium towersand a modern commercial complex, just a few minutes drive from the Ja-Ela interchange of the Colombo Katunayake Highway. The project brings together Milroy Perera Associates and Maga Engineering Private Limited, the architect and engineering team that developed the 47-storey Clearpoint Residencies in Rajagiriya, which has won multiple accolades as the ‘tallest vertical garden in the word’. They have partnered with Riviera Holdings headed by Chandima Anton, who possess decades of experience in property development in France. The project is designedwith the aim of providing affordable, yet luxurious housing coupled with the convenience of a modern shopping mall at their doorstep and is ideal for executives and businessman alike. While being located very close to the capital city of Colombo, the building is also bound by the Indian ocean, the serene environment of the Muthurajawela reserveand the beautiful inlands of Sri Lanka. The two residential towers will consist of a total of 290 spacious apartments spread over 34 floors each, comprising 2, 3- and 4-bedroom apartments and penthouse suites. They will also feature a host of modern amenities such as a state-of-the-art gymnasium, infinity swimming pool, extensive recreational areasand solar-powered common areas. The second phase of the project will feature a commercial complex comprising a supermarket, food court and shopping outlets to cater to the varied lifestyle needs of the residents. The building is located on the main Negombo road at Tudella, Ja Ela and allows easy access to the City of Colombo via the Airport Expressway and the Port Access Elevated Highway (to be completed in 2021).